Lightroom 3.5 Now Available For Instant Download! Adobe® Photoshop® Lightroom® 3 delivers sweeping new capabilities to help you bring out the best in your photography, whether you’re perfecting one image, searching for ten, processing hundreds, or organizing thousands. Accelerated performance makes key tasks quicker, and now you can manage video files from most digital SLR cameras side-by-side with your still photos. Perfect your images and experiment fearlessly with new nondestructive editing tools, including world-class noise reduction and lens correction. Showcase your work with greater style and impact using more customizable print layouts, captivating slideshow videos with music, streamlined publishing to online photo-sharing sites, and more. All from within one fast, intuitive application. Accelerated performance – Get your digital photography tasks done faster, giving you more time to shoot and promote your work. Enjoy optional cross-platform 64-bit support and use advanced memory-handling capabil­ities of the latest Mac OS and Windows® oper­ating systems. Already quick performance has been dramatically accelerated in Lightroom 3, saving you time from first look to final image. Superior noise reduction – Achieve amazing, natural-looking results from your high ISO images with all-new state-of-the-art noise reduction technology. You won’t need more than what’s built into Lightroom 3 to get the cleanest images at any ISO. Support for DSLR video – New support for video files from most digital SLR cameras lets you easily manage and organize both still photographs and video files side-by-side. Flickr integration – Use Lightroom seamlessly with Flickr, a Yahoo! service. When friends or clients post comments and ratings on your Flickr galleries, you can immediately see their feedback in the Lightroom 3 Library alongside your images. And as of Lightroom version 3.2, direct publishing to Facebook and SmugMug is also now available. Easy-to-share slideshow videos with music – Show your images to clients, friends, or family with more style and flair using elegant slideshows with music. Slideshows are a breeze to create, and you can share them easily by exporting them as videos, even in high definition. Easy image importing – Save time with fast image importing. The newly designed import interface is easy to set up and navigate with clear visual indications of where your photos will be located and how they’ll be organized after you’ve downloaded them. Perspective correction – Get more natural-looking results by applying powerful, nonde­structive perspective corrections to your images. Reduce or eliminate the distortion that can occur, for example, when you take a photograph with the camera pointed upwards, causing buildings to appear to be leaning backwards in your image. More flexible print layout – Showcase your work in more creative formats using highly customizable print layouts, which you can save as reusable templates. With the new custom print layout creation tool, you just drag one image or several different shots onto a page and resize or reposition them as you like. Powerful image management – Take advantage of a powerful suite of image manage­ment features to organize your photographs, flexibly rate and label them, and find them easily using a wide range of metadata tags and information. Nondestructive editing environment – Set your creativity free in a nondestructive editing environment that encourages experimentation. Your original images are always safely unaltered, and it’s easy to reverse your steps or save multiple versions of any photo. Superior image processing – Get the absolute best from your images with state-of-the-art image processing controls that work with raw files from more than 290 camera models as well as JPEG, TIFF, and other file formats. Make precise overall adjustments or correct targeted areas for just the look you want. Dodge and burn, convert to black-and-white, add grain, reduce noise, adjust sharpness, create vignettes, and more. One-click adjustments for multiple images – Save time when processing photographs that were shot under consistent conditions by applying the same Develop settings to all the images in a group at once using presets or the sync feature. Develop presets – Save time by instantly applying favorite looks to images. When you’ve perfected a look that you particularly like for an image – a high-contrast black-and-white effect or a super-saturated color look, for example – you simply save the settings as a preset and apply it to your other photographs at any time. Many presets are included with Lightroom, and thousands more are available from the thriving worldwide community of Lightroom photographers and experts. Seamless Photoshop integration – Select one or multiple photos and then automatically open them in Adobe Photoshop for detailed, pixel-level editing (e.g., Content-Aware Fill) or to merge multiple photos into a panorama, a high dynamic range (HDR) photo, or a multi­layered file. After finishing in Photoshop, see the results immediately back in Lightroom. 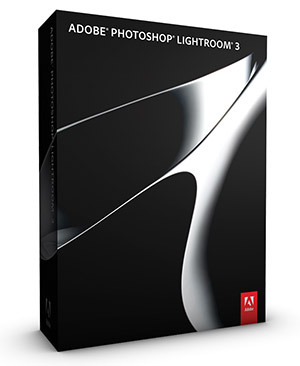 The Lightroom 3 Datasheet (PDF), learn more or download a free trial.